Usually, I prefer to cook for my honey on Valentine's Day rather than going out to a restaurant on what is largely considered by restaurateurs to be "amateur night." 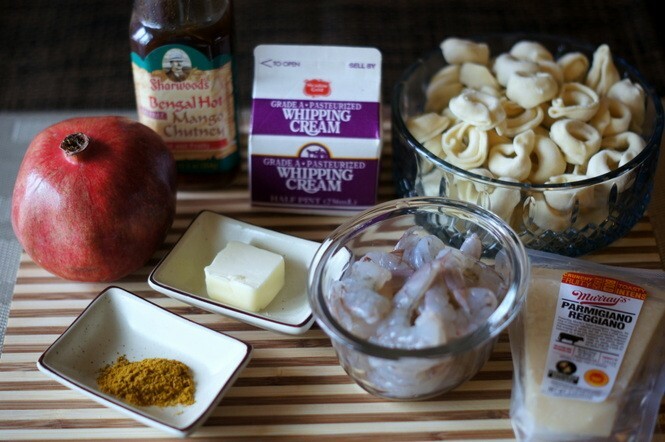 And so, a few years ago I created what I think is a particularly romantic V-Day dish. 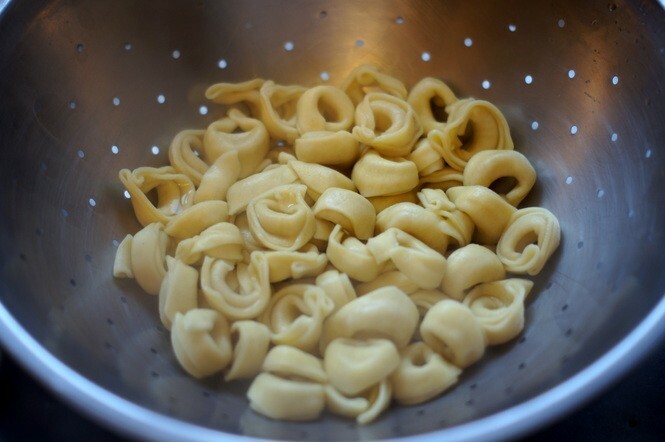 I called it "Tortellini Romeo y Julieta" and it subsequently appeared in various magazines and a cookbook. 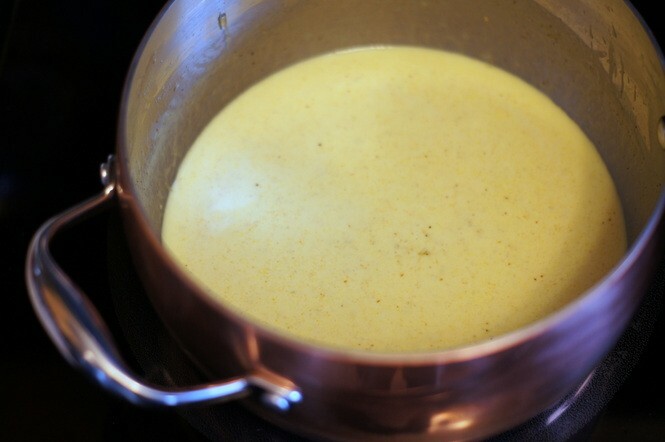 The sauce, if I do say so myself, is especially silky and sensuous. Despite the cream and butter, the sauce is light and a little sweet, with an interested tart snap from the (optional) pomegranate seeds. So, if you're cooking for someone special on Valentine's Day, here's a dish that can't miss and is easy to execute. 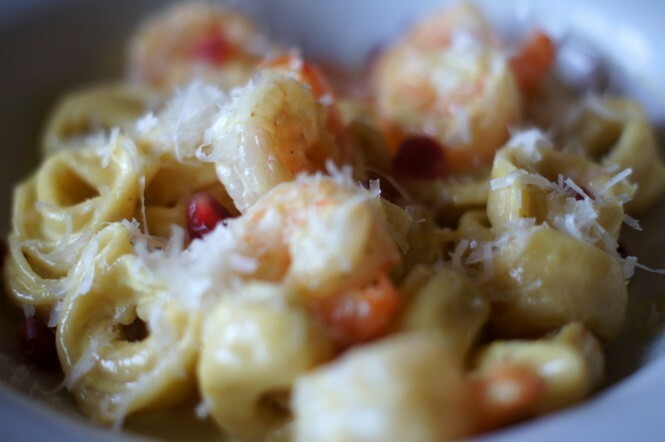 Give it a try, if not for Valentine's Day, then some other night when a creamy pasta dish is in order. 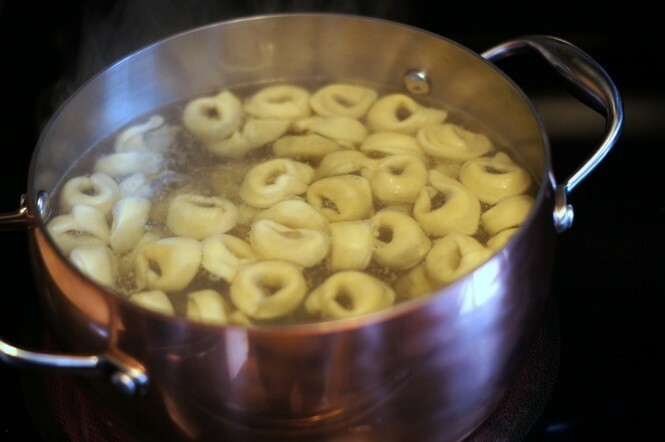 Cook the tortellini on a large pot of boiling water, until just al dente - when the tortellini begin to float to the top. Drain and set aside. 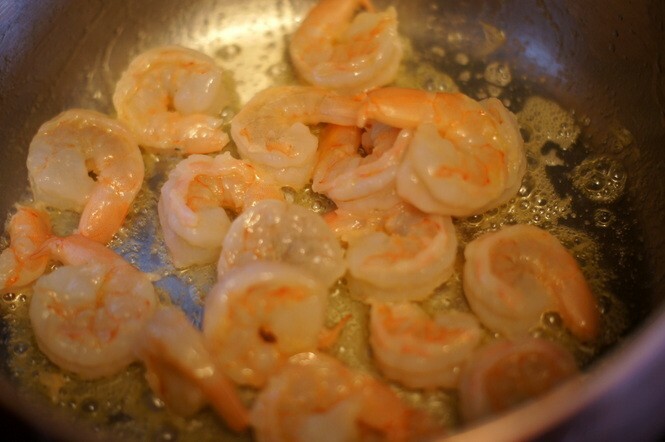 In a large skillet or sauce pan, melt the butter over medium-high heat and saute the shrimp for 2 to 3 minutes, just until pink. 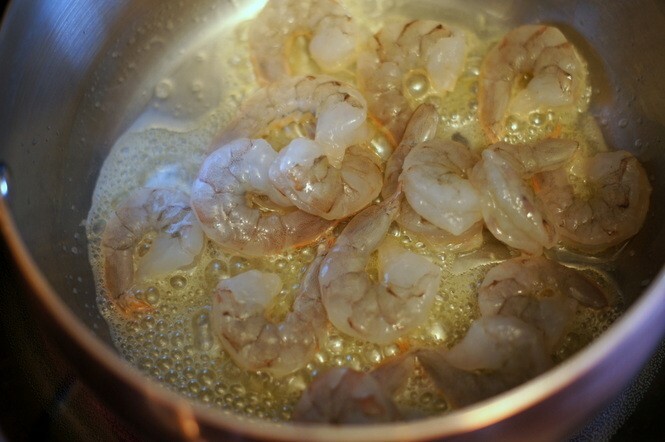 Remove the shrimp from the pan with a slotted spoon and set aside. 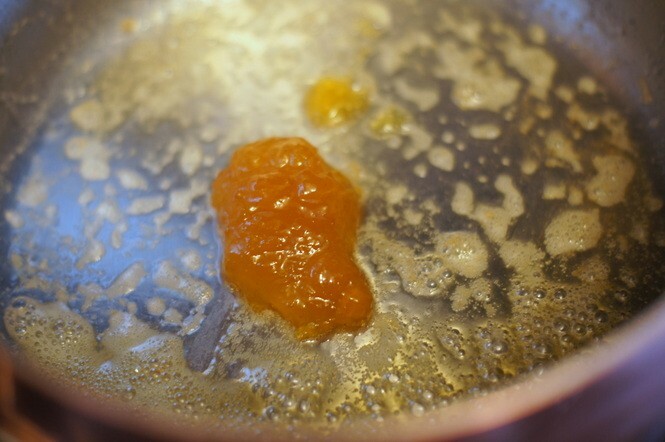 In the same pan over medium heat, briefly cook the chutney in the remaining butter, stirring — about 30 seconds. 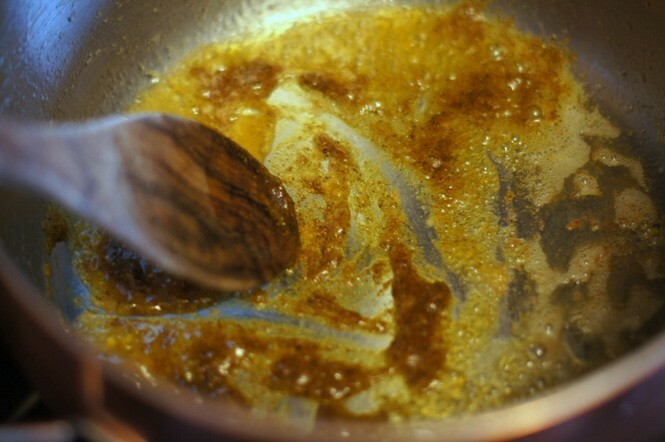 Then add the curry powder and give it a stir for a half-minute or so. 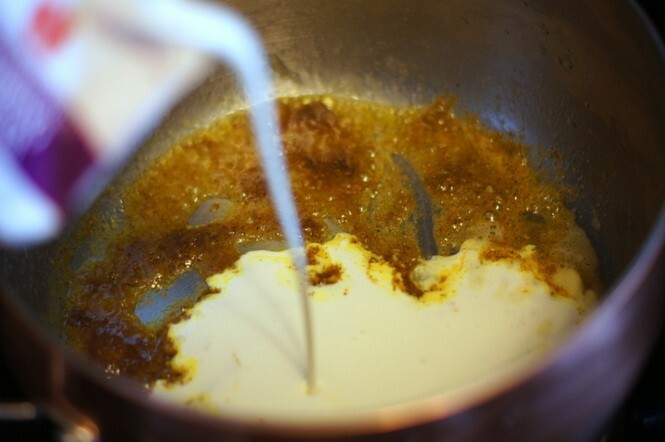 Pour in the whipping cream, stir, and cook for a few minutes, until the cream begins to simmer. 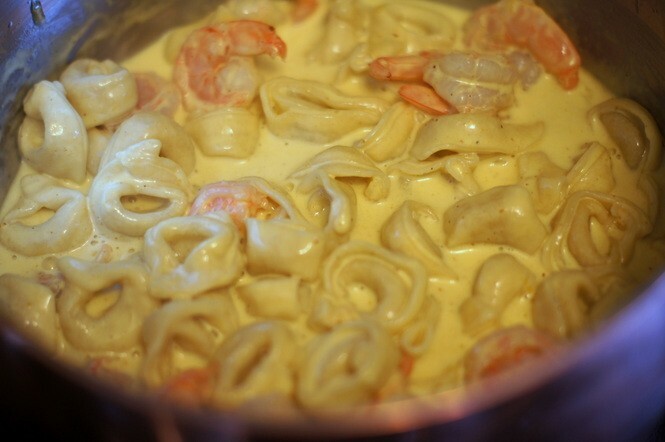 Add the cooked tortellini and shrimp to the pan to combine with the simmering curry-cream-chutney sauce and heat through, about a minute or two. 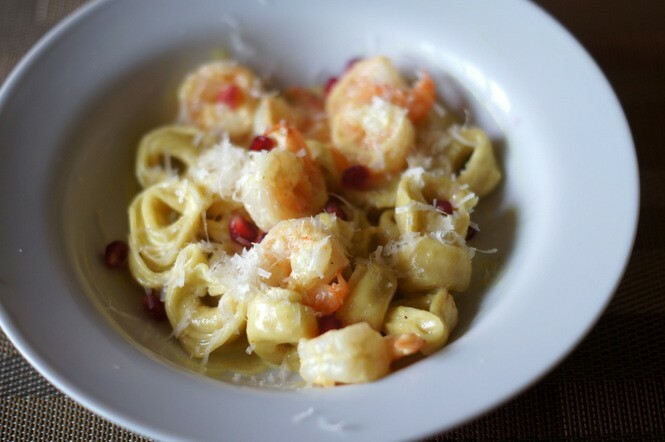 Serve the pasta with sauce on individual plates or bowls, garnished on top with the optional pomegranate seeds, and serve with freshly grated Parmigiano-Reggiano.